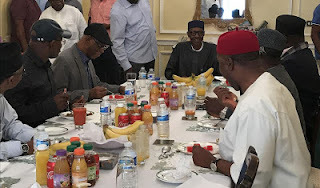 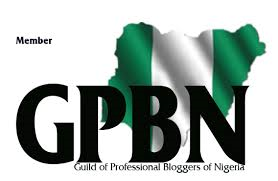 Home / Uncategories / PRESIDENT BUHARI MEETS KEY APC LEADERS & GOVERNORS IN LONDON. PRESIDENT BUHARI MEETS KEY APC LEADERS & GOVERNORS IN LONDON. 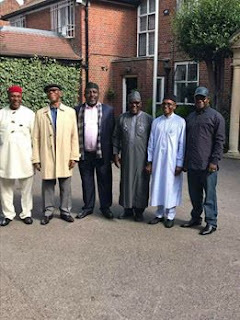 These are the key APC Chieftains that met with President Muhammadu Buhari in Laondon yesterday.From L-R Hon Chibuike Rotimi Amaechi ,Minister of Transport,Chief John Odigie Oyegun,APC National Chairman ,Rochas Okorocha of Imo State,Governor Al Mkura of Nasarawa State and Nasir El Rufai of Kaduna State.